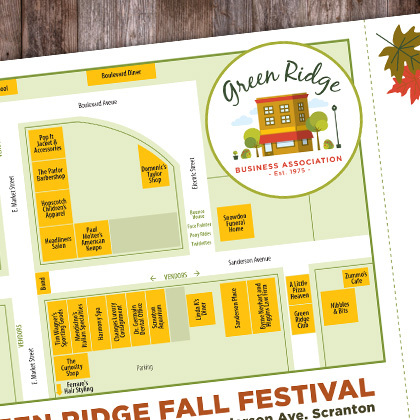 When the Green Ridge Business Association (GRBA), established in 1975, decided to modernize its brand to reflect the thriving Scranton neighborhood it represents, it choose the BlackOut Design team for the job. 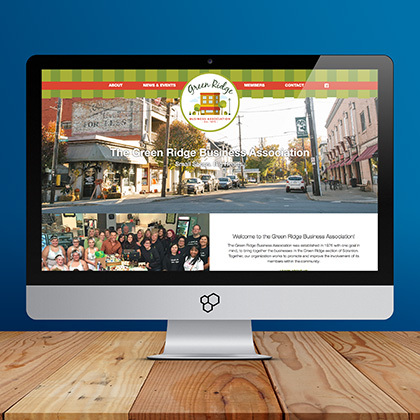 With small business at the heart of its mission, our team was proud to partner with the GRBA to create a new logo and brand identity that helped raise its profile within the community. When the association held its inaugural Fall Festival in October of 2016, its new logo was an unmistakable centerpiece of the event’s promotional collateral.